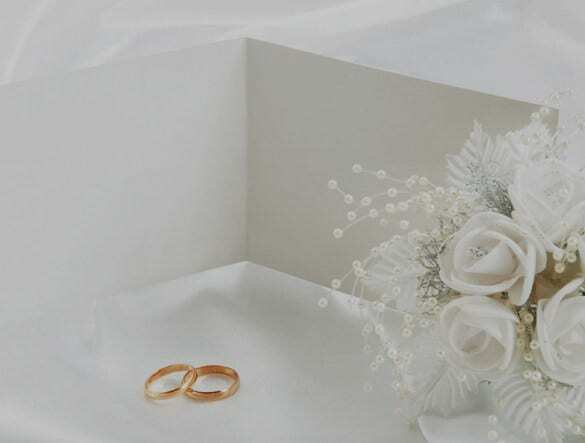 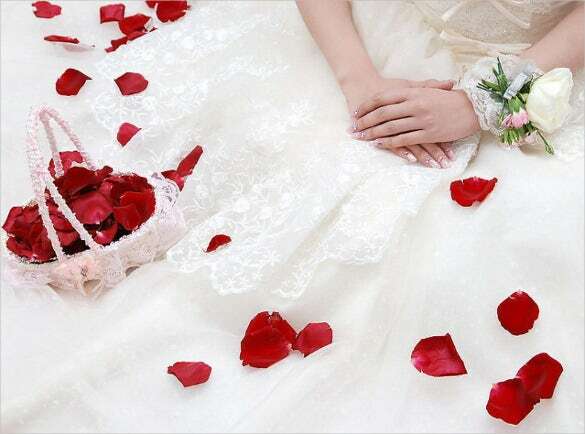 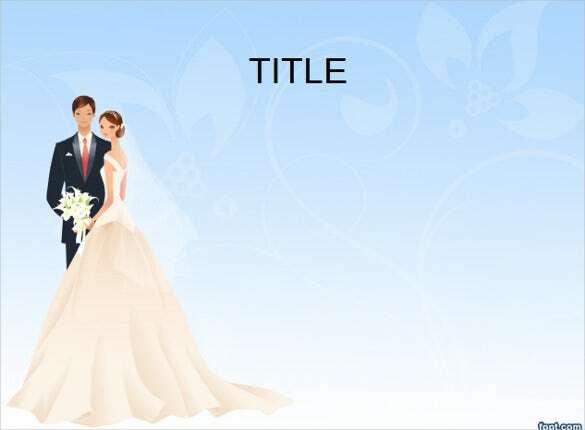 If you want to show the summary of the whole love story of the bride and groom in a single show, Wedding Program Templates can help you with the PowerPoint presentation you can apply to show each video clips and images of the love story of the couple that ends up in tying the knot. 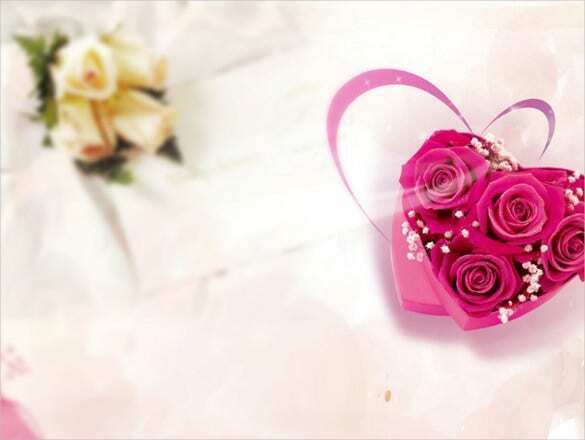 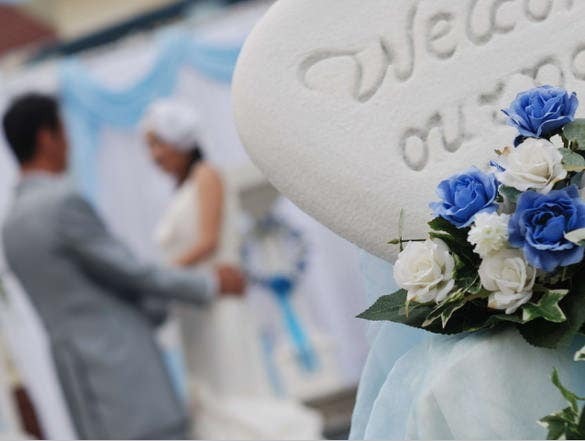 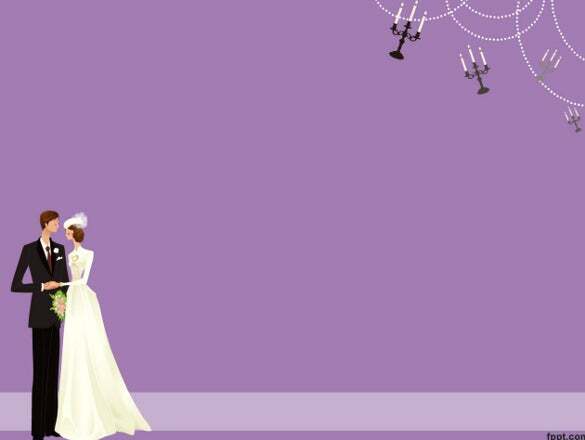 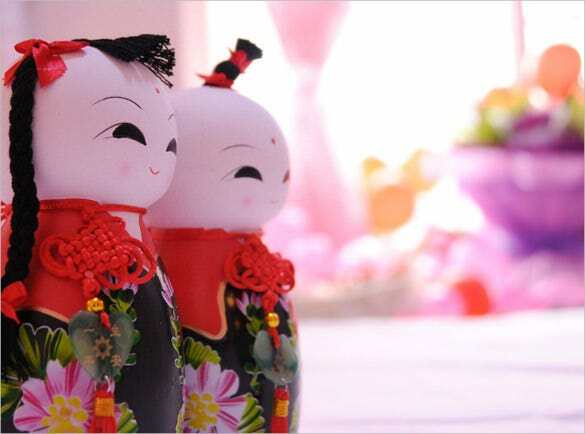 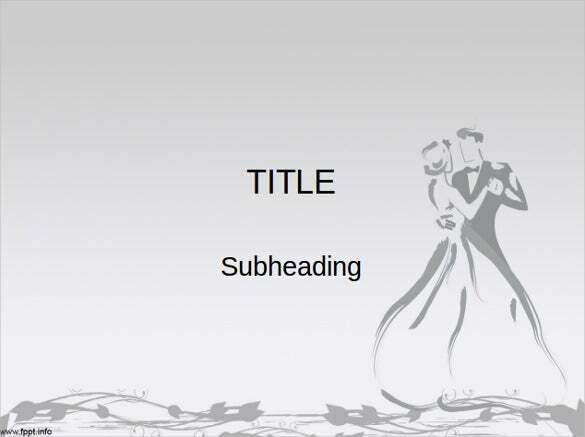 Via example format of it you can quickly finish the slides for the wedding. 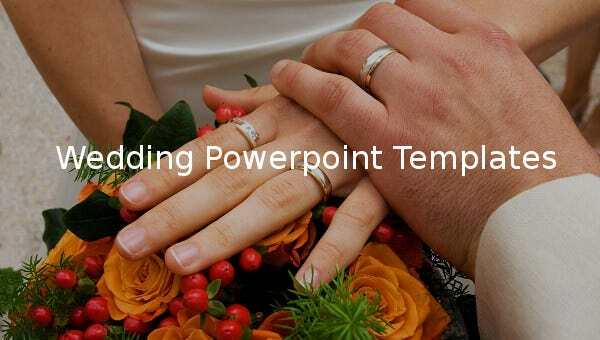 Each slide can be designed and change the themes so it can fit to the mood or every images or video clips that will be shown. 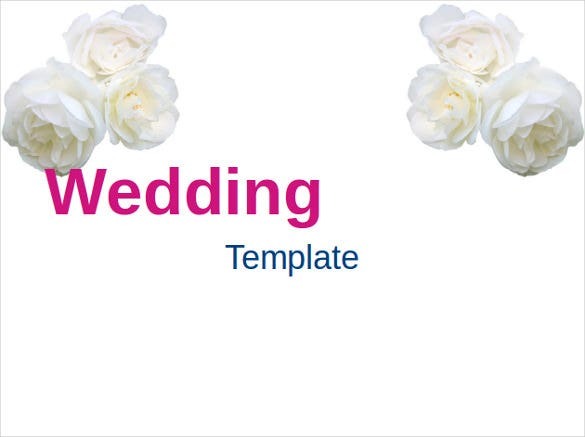 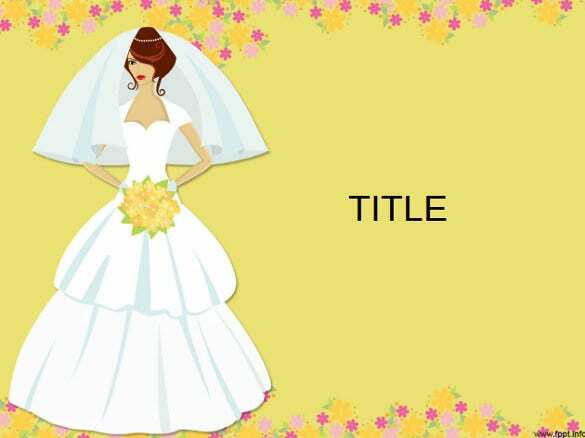 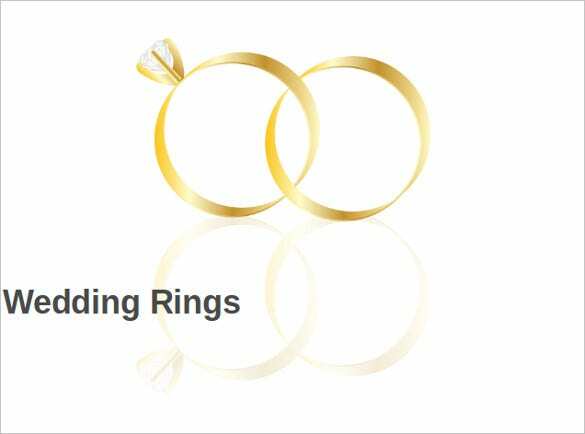 You can change the font style for the contents and messages that will be shown for the presentation via this Wedding Templates.